Whether it is a ground-up project, or you are making structural or aesthetic improvements to your building or residential space, you’ve invested tremendous time, money, and resources. And the last thing you want before you hand over the keys is a dirty project. No construction project is complete without work by Nancie Brown construction site cleanup experts Southern California. We provide the final clean-up touches that help create a clean, fresh, and presentable commercial, industrial or residential project. 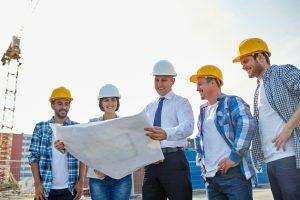 Some cleaning companies claim to be capable of construction clean-up, however, a closer look into their business often reveals a maid or janitorial service disguised as an experienced, professional construction site clean-up. At Nancie Brown construction site cleanup experts Southern Californian our experience is the difference. We produce a final deep cleaning that is essential for the health and safety of the future employees or residents of the project. That means eliminating the construction dust that can become airborne and cause illness, and creating a welcoming environment at your project. But there’s more to construction site clean up that preventing illness or injury. The dedicated team at Nancie Brown construction site cleanup experts Southern California knows that clean-up also means creating a work or home environment that is both functional and inviting and help your property look its best. We accomplish this through meticulous attention to the little things. Through extensive deep cleaning, and detail cleaning, Nancie Brown construction site cleanup experts Southern California will remove the dirt, dust and debris that construction crews leave behind. Nancie Brown construction site cleanup experts Southern California has the experience you need to get the job done efficiently. Nancie Brown construction site cleanup experts Southern California is a highly respected cleaning company whose services are in demand throughout Southern California, including Santa Barbara County. Much of our success is due to our dedicated and loyal core supervisorial staff, which averages almost 18 years of service. Each member of the Nancie Brown construction clean-up team is personally trained by Nancie Brown to ensure efficiency and consistency in all our cleaning assignments. So whether you need expert construction site cleaning for residential, industrial, or commercial windows, let Nancie Brown construction site cleanup experts Southern California turn your construction project into a clean, well-ordered site.